New Rilakkuma Wallpaper for September 2013! Click here or the image above to get the full size. Remember to check out our Rilakkuma World shop for all the cutest Rilakkuma plush toys, bags, phone accessories and more! Here is a new Rilakkuma wallpaper for August 2013! Rilakkuma and friends enjoying some delicious ice cream and sweets in the last month of summer! Remember to check out all of our Rilakkuma plush toys, bags, and more at our Rilakkuma World shop! It’s July! 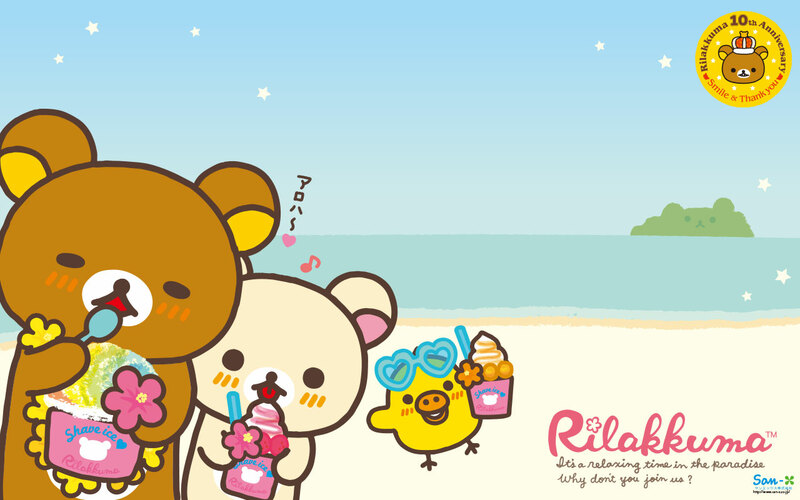 The sun is hot, so enjoy some ice cream and shaved ice with Rilakkuma, Korilakkuma, and Kiiroitori! Also, remember to check out all the cute Rilakkuma items at our store..Rilakkuma World!